FROM R400 PER PERSON p.p. The Estuary Guest Chalets are situated in the heart of picturesque St Lucia on the Kwa-Zulu Natal North Coast making it the ideal get-away for the annual family vacation or long week-end, ideal for nature enthusiasts. We have 10 air-conditioned self-catering chalets. 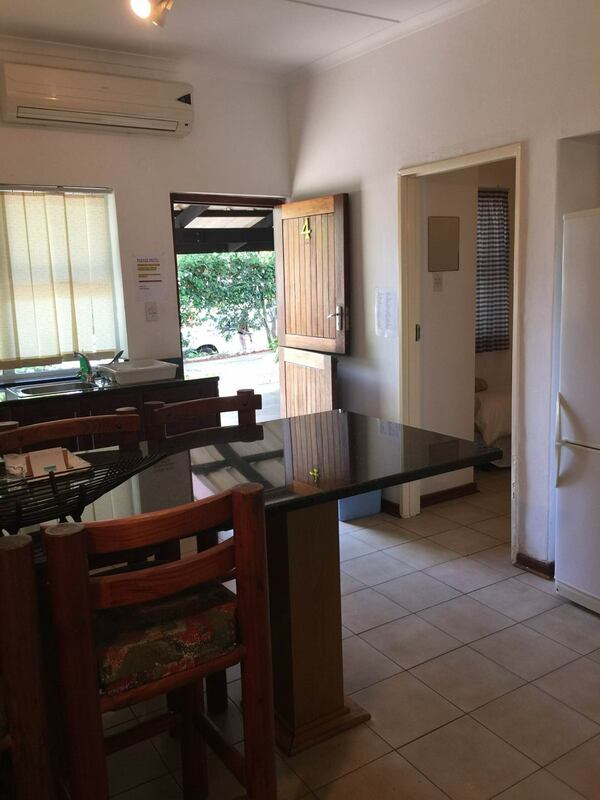 All with housekeeping (7 days a week), secure parking - car port, complete kitchen with marble tops, television (DSTV Hospitality Package) and private "braai" (BBQ) area. The chalets can house up to four people. Bath towels and bedding are supplied. Swimming pool on the premises. * Bring own towels for swimming. * No drinks allowed in the pool area. * Please take the other guest in consideration regards noisiness. * Walking distance from shops and restaurants. "Amazing stay all the time." "Absolutely amazing stay every time. I only stay at The Estuary Chalets, when I travel own to see my kids for weekends. Well maintained, excellent service,friendly staff. "We had a very pleasant stay at this establishment. On arrival at reception I was greeted warmly and the receptionist was very friendly, a dear lady. The chalet itself was big and spacious and clean. The braai area also spacious and very private. All the staff were very friendly and greeted us warmly..."
"We had a very pleasant stay at this establishment. On arrival at reception I was greeted warmly and the receptionist was very friendly, a dear lady. The chalet itself was big and spacious and clean. The braai area also spacious and very private. All the staff were very friendly and greeted us warmly every time they saw us. The swimming pool is large and clean. The price for our stay was reasonable, I would really go back to The Estuary Guest Chalets for a second stay." "Loved the location as it was walking distance from all shops and restaurants. Parking bays not very suv/bakkie friendly and did find it a bit unnerving that there's absolutely no security. 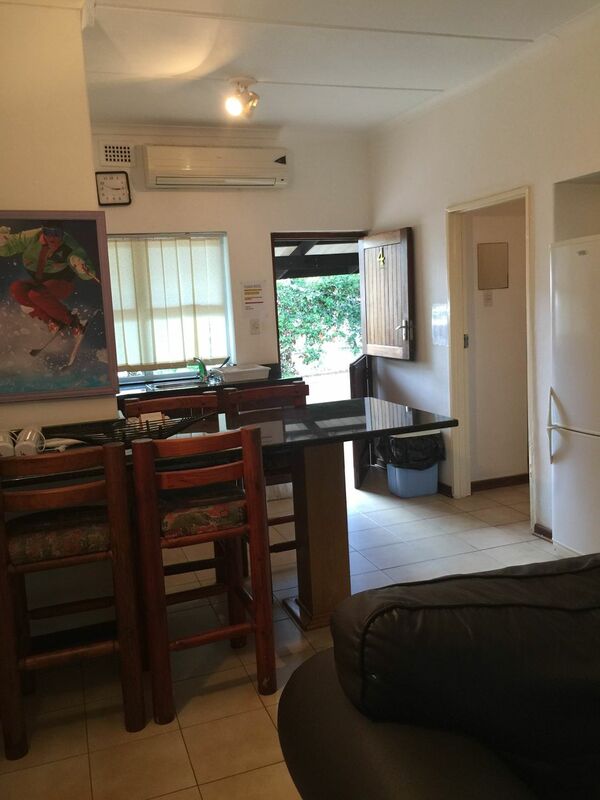 Also had issues with the stove that didn't work properly and the lounge chairs became a bit uncomfortable after..."
"Loved the location as it was walking distance from all shops and restaurants. Parking bays not very suv/bakkie friendly and did find it a bit unnerving that there's absolutely no security. Also had issues with the stove that didn't work properly and the lounge chairs became a bit uncomfortable after a while. Other than that a pretty enjoyable stay as we had everything we needed within the unit. Really enjoyed all the outings and tours St Lucia has to offer." "Definitely the trip through iSimangeliso to Cape Vidal and the fantastic day at Cape Vidal"
"We were satisfied with the accommodation. It is scary when the electricity goes down and there is no water but thankfully this was only for a few hours and the Estuary has a generator. St Lucia is a gorgeous little place with such character and wonderful restaurants. Definitely recommend Baracca. ..."
"We were satisfied with the accommodation. It is scary when the electricity goes down and there is no water but thankfully this was only for a few hours and the Estuary has a generator. St Lucia is a gorgeous little place with such character and wonderful restaurants. Definitely recommend Baracca. Ria is a character and it is easy to misunderstand her if you don't know her. She was pleasant and accommodating. All in all a great weekend." "Very nice kept place to stay, clean comfortable and well worth it considering the price." "The beautiful greenery and peacefulness of the surrounding area of the chalet." "I enjoyed my privacy, the reception was extremely helpful and courteous. The cleaning staff very proffesional and helpful. I struggled a bit with the wifi but it was not that important. I felt safe and came back rejuvinated will return definitely. Tx Ria your service was more than what I expected." "Enjoyed our stay . Beautiful beach estuary with hippos are wonderful . Nature is unique here. Atmosphere is peaceful. Everything was neat. Clean. Could improve on getting an oven. Stove plates don't work well. Needs a touch up. No more leather coaches that we enjoyed the last time . Overall I woul..."
"Enjoyed our stay . Beautiful beach estuary with hippos are wonderful . Nature is unique here. Atmosphere is peaceful. Everything was neat. Clean. Could improve on getting an oven. Stove plates don't work well. Needs a touch up. No more leather coaches that we enjoyed the last time . Overall I would recommend this chalets to everyone. " "The place was a delightful paradise, calm, relaxed and serene. Our chalets were cleaned with precision. We made wonderful memories and had great fun. Located close to the restaurants and shops. The estuary chalets is a nice venue for families with kids. It had a tropical garden a braai sta..."
The estuary chalets is a nice venue for families with kids. It had a tropical garden a braai stand. 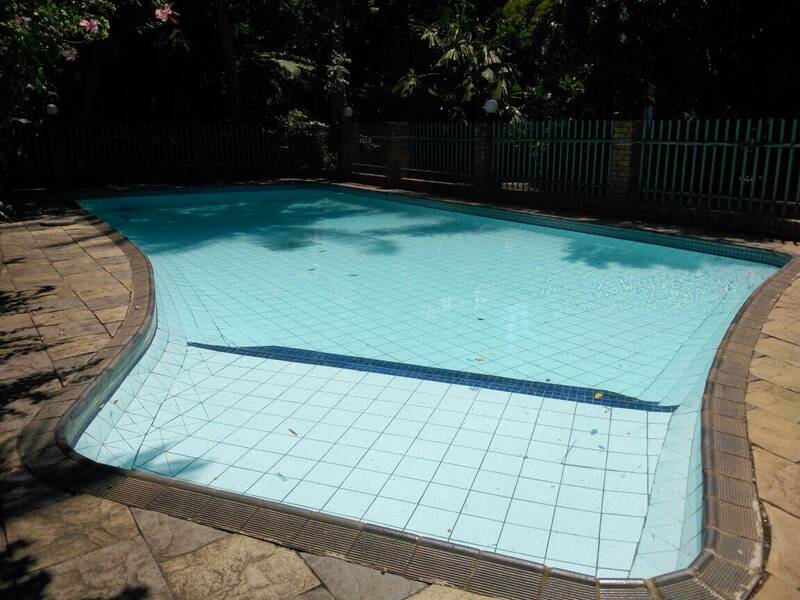 Such an exotic setting "
"The swimming pool is situated in a lovely garden. At the end of the garden there is a view of the estuary. I have stayed in The Estuary Guest Chalets three times and will probably return." "All one needs as a family to enjoy the beauty of St Lucia and surrounds." "Heerlik gebly, baie dankie! " "Ons sal dit verseker aan beveel. Baie lekker gebly! Sentraal gelee. Mens het niks meer nodig nie. Dankie Ria! " "Centrally located with all amenities. We really enjoyed our stay, as the chalet is very comfortable and clean. 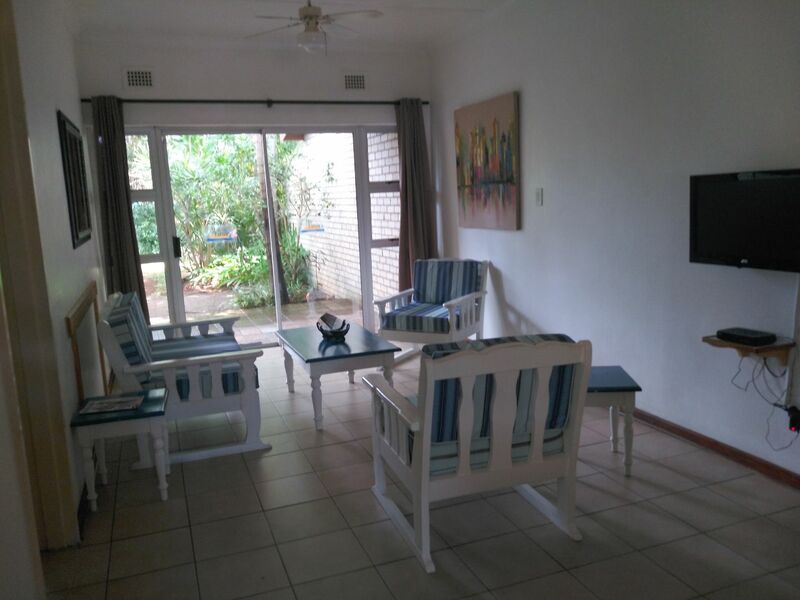 The chalet is very quiet and peaceful and the pool and garden area is very serene. Will definitely return on our next trip to St. Lucia. " 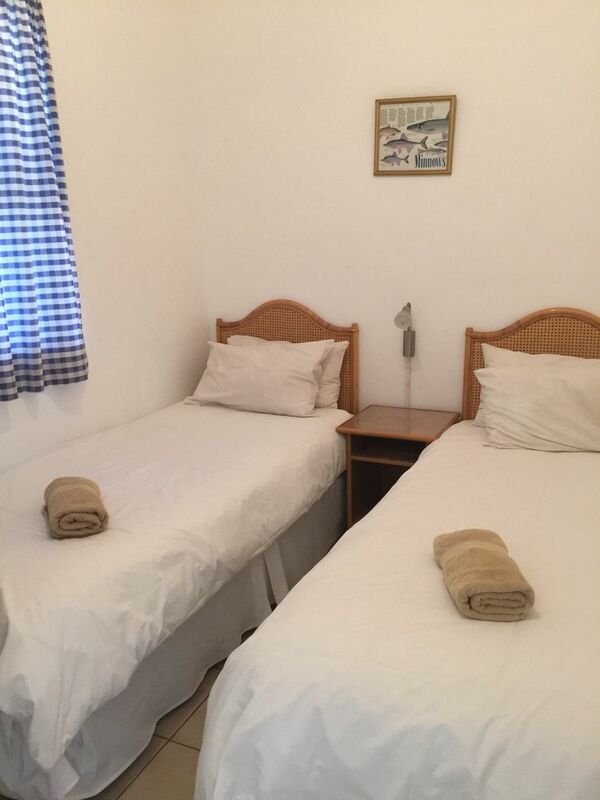 "My Stay in Estuary Guest Chalets"
"The location is central, which is excellent." "Very friendly manager. Fast wifi. Clean. On river which is great, had hippos against fence of property to the great excitement of my kids." "The Estuary really needs a Handy Man. Cupboard doors falling off or gone and replaced by a curtain. Cabling crudely joined tape." "Thank you, we enjoyed our stay "
"Accomodation was afordable , clean and excellent hostess Tannie Ria was very friendly and helpfull. We will definatly visit again! " "The chalet was comfortable and well-equipped. The facilities was clean, in working order and we enjoyed the private little braai area. We were happy with our stay." "Our two day stay at The Estuary Guest Chalets was enjoyable. We found the chalet well equipped, clean and centrally located. It was easy to find and close to all amenities." "Spacy rooms, service good - ideal place to start for tours"
"Ria is the heart of all and always ready to help if it her responsibility or just a general request regarding tours, restaurants and so on. We felt warmly welcome and despite of some of OUR problems she stayed calm and kept on helping us. THANK YOU. 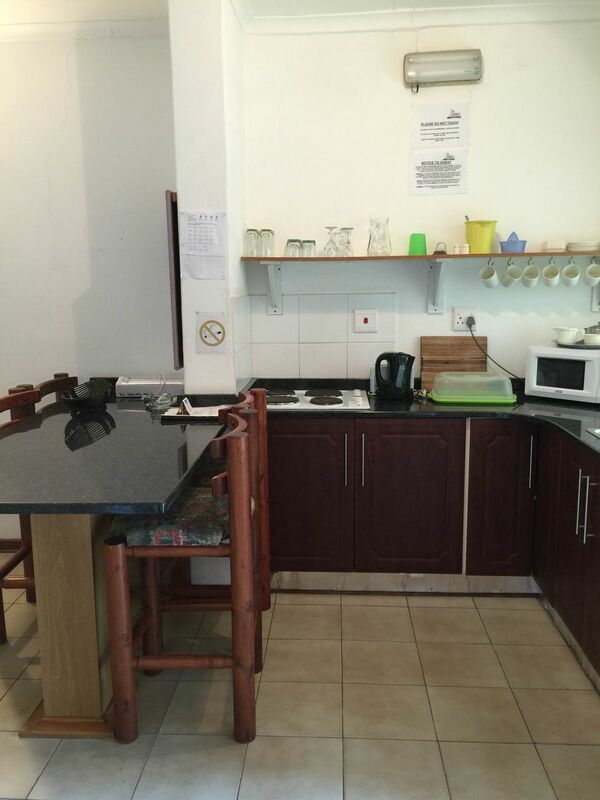 Gerd"
"Great self catering units that have all that you need for food preparation. Loved that the fridge was not a bar fridge like most self catering establishments sometimes do. The establishment could do with new towels the towels are quiet worn out. Would recommend it to friends and return"
"The overall accommodation was ok, But the receptionist or owner not friendly. she was very rude. " "good, basic place to stay"
"Good place to stay, right in the middle of town: walking distance to places to eat and/or drink. Nice quiet place to stay, good beds, good braai place, etc., but the place as a whole is in need of some maintenance. Still, overall: good value for money; I would go there again. " "This was my second stay at Estuary Guest Chalets. The granite-topped kitchen had everything I needed. I am always grateful for crisp white percale linen which makes parting from my own bed much easier. Exquisite view of the sunset over the estuary from the gardens, and the hippo paths on the doorste..."
"This was my second stay at Estuary Guest Chalets. The granite-topped kitchen had everything I needed. I am always grateful for crisp white percale linen which makes parting from my own bed much easier. Exquisite view of the sunset over the estuary from the gardens, and the hippo paths on the doorstep are very exciting! Mackenzie street is a convenient location for walks to the best restaurants, Spar, and the jetty. All this at the lowest price I could find that wasn't a hostel. So impressed and will return. "We stayed at the Estuary Guest Chalets for 8 days in July. The chalets were clean and well maintained. Lovely gardens with a stunning view of the estuary. We will definetly be going back next year." "We had an excellent stay at the Estuary, its a really lovely place.The chalet was fully equipped with everything, it met our needs perfectly. We had a really great stay, thank you." "My husband and I spent 4 days at the Estuary Guest Chalets - friendly staff and comfortable accommodation. ÊWe will definitely return. "We spend 7 nights at the Estuary and we enjoyed every moment. 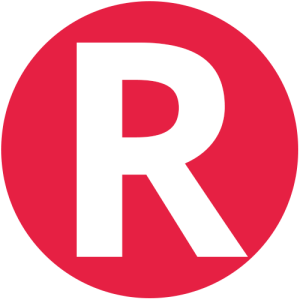 Excellent service, value for money, close to all restaurants and shops. Thank you Ria well be back and can recommend. "I had a completely awesome stay, enjoyed it thoroughly and I will definitely go back again." "We had a lovely time at The Estuary Guest Chalets. It is a really wonderful establishment, our chalet was spacious clean and comfortable. It was really nice and private and quiet, which was nice. We quite enjoyed seeing the baboons as well. We had an overall great time." "We had a splendid 5 days there. ÊThe rooms of very neat and tidy and meet all your basic needs. ÊThe kids enjoyed the swimming pool and the location is great. ÊWe walked everywhere in town. ÊThank you for a wonderful stay and we will be back!" "Our stay at The Estuary Guest Chalets was excellent. It is neat and clean and are serviced daily. It is well equipped and well priced. I highly recommend it. .
"One of our best stays in S.A during 3 weeks vacation. Perfectly clean, spacious, well equipped kitchen, great air-con, very beautifull garden with huge cocos palm trees and clean swimming pool. Our stay was very relaxing. I've got a nostalgia thinking back about it. "We really enjoyed our stay, the place is beautiful, clean and peaceful. We'll def. be booking there again next time we come to st lucia"
"The accommodation was comfortable and basic. Definitely worth it, for what we paid, and very satisfied. If you want hotel standard, then pay hotel rates. The bathroom could do with some work, but the kitchen was great, and the airconÊhandled the large space comfortably. Close to shops and restaurants, and very convenient. Fresh towels daily, and unit cleaned and serviced daily. Thanks for a good stay." "It was clean and comfortable"
"Short visit with my niece and boyfriend from overseas. "Berty was very welcoming even though we checked in 7 hours past the check in time. We had no issues with other guests. We were supplied with candles and back up lights in the case of load shedding. Unit was cleaned every morning. It was good, reasonable accommodation ..."
"Berty was very welcoming even though we checked in 7 hours past the check in time. We had no issues with other guests. We were supplied with candles and back up lights in the case of load shedding. Unit was cleaned every morning. It was good, reasonable accommodation for a family of four." "We had an absolutely fantastic time here. We want to return around Easter again. Highly recommended." "Ria is very friendly and goes out of her way to assist. The accommodation is nice - the bathrooms need extra attention." "My stay at The Estuary was very enjoyable. The rooms were comfortable and the staff were friendly. I will recommend them to others." "My stay at the guest house was very pleasant. We are a very young family, including my fiance and I. The guest house suited us very well. It was accommodating for our children; it's safe and secure, and it's clean. I liked the fact that the units are serviced daily. I liked that it's a walkable dist..."
"My stay at the guest house was very pleasant. We are a very young family, including my fiance and I. The guest house suited us very well. It was accommodating for our children; it's safe and secure, and it's clean. I liked the fact that the units are serviced daily. I liked that it's a walkable distance to restaurants. It's quiet. There's hot water. Clean towels. Ria was amazing when my fiance got a bit sick. I have no complaints. We will be coming back." "My wife and I booked at The Estuary from the 2nd Oct to the 6th. We went to celebrate our 35th anniversary, we enjoyed our stay. THE ROOMS WERE BIG AND THE ATMOSPHERE WAS RELAXING. The environment was enjoyable I think I will recommend this resort to my friends and family hoping to get back for my 3..."
"My wife and I booked at The Estuary from the 2nd Oct to the 6th. We went to celebrate our 35th anniversary, we enjoyed our stay. THE ROOMS WERE BIG AND THE ATMOSPHERE WAS RELAXING. The environment was enjoyable I think I will recommend this resort to my friends and family hoping to get back for my 36th. " "We enjoyed a three night stay at the Estuary Guest Chalets during a period when the town was severely affected by water and power cuts. The management made a real effort to ensure our comfort despite this and we actually had a great time there. 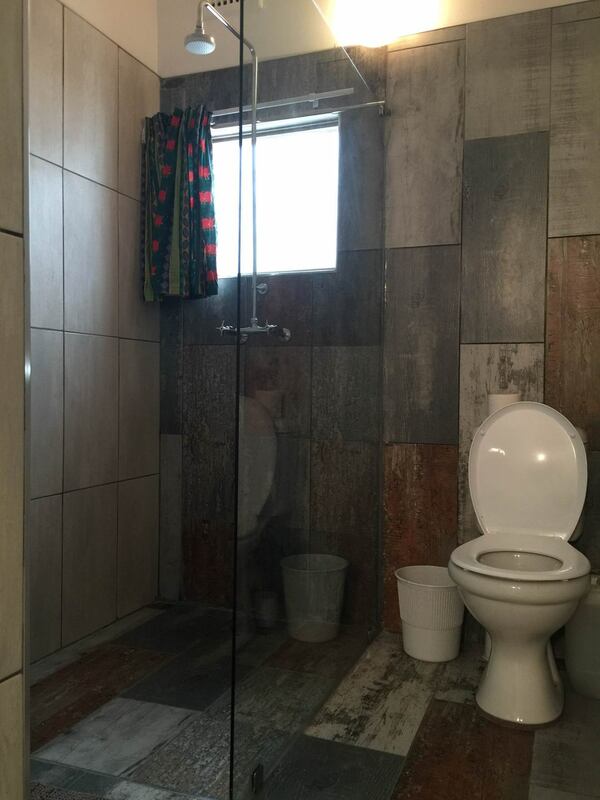 The chalet (especially bathroom) is quite basic, but wa..."
"We enjoyed a three night stay at the Estuary Guest Chalets during a period when the town was severely affected by water and power cuts. The management made a real effort to ensure our comfort despite this and we actually had a great time there. The chalet (especially bathroom) is quite basic, but was in neat and clean condition. We will likely return." "We were warmly received by Ria, the guesthouse manager. She was absolutely lovely. She explained the water crisis currently being experienced in St. Lucia and to be honest, because of the provisions made, we didn't feel it. The units were clean and the cleaning service did a great job daily. The chalets are neat, tidy and very comfortable. Will recommend and even come back. "The stay was absolutely wonderful and the staff were friendly. I would revisit and suggest it to others too." 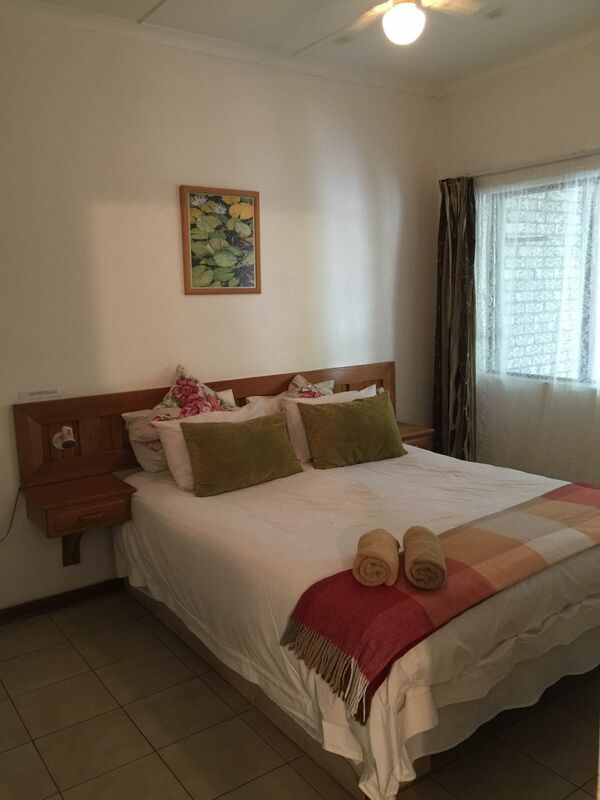 "I had a very pleasant stay at The Estuary Guest Chalets. I would certainly recommend a stay here to others and also come visit again." "Very neat and clean, and so friendly. Will definitely be going back"
"The place was excellent and met our expectations. I would go back again . The pool was beautiful but requires more sunlight or a heating system as it was really cold." "The Estuary is in a great location, central on the main street of the town although set back from the road so not noisy. There is a well equipped kitchen (although a sharp chopping knife would be welcome), a small lounge and bedrooms. Although some of the fittings and style is a little dated, ever..."
"The Estuary is in a great location, central on the main street of the town although set back from the road so not noisy. There is a well equipped kitchen (although a sharp chopping knife would be welcome), a small lounge and bedrooms. Although some of the fittings and style is a little dated, everything is clean and works. We had a great stay and would recommend it. " "The Estuary Guest Chalets at St Lucia"
"The venue is clean, comfortable and relaxing. Close to all tourist attractions and eating establishments. The staff is friendly and helpful, maintaining a clean room for you. From the chalets the sunsets over the river are fabulous. Well worth every penny!" "We enjoyed our stay very much, so much so that we immediately booked another longer stay. " "The Estuary is very well situated and the service was warm and friendly from everyone.Thank you so much for going the extra mile for us." "We spent a week in the Estuary chalets which is ideally situated on the edge of St. Lucia. The chalets are clean, well equipped and quiet. The shaded pool is perfect after a long day at the beach. I would recommend the chalets to anyone and will definitely be back!" "Very nice garden and flat. Lily and her husband greeted us every morning with a smile. I will definitely stay here when." "We had a great time in St Lucia. The gardens at the Estuary guest house were nothing short of superb. As a keen gardener I loved walking through the paths every day. The management were professional and the whole operation runs smoothly with any queries attented to immediately. Thanks for a lovely t..."
"We had a great time in St Lucia. The gardens at the Estuary guest house were nothing short of superb. As a keen gardener I loved walking through the paths every day. The management were professional and the whole operation runs smoothly with any queries attented to immediately. Thanks for a lovely time and God bless you."